Here at Glue, we love these types of questions! We had the pleasure of working with award-winning director Paco Torres on his 2014 experimental drama SAOL. Shot in only 14 hours, with no script and all improvisation, SAOL (the Gaelic/Irish word for “Life”, pronounced “sail”) is about anxiety, obsession and the reconstruction of a family. Please see our project page with the official trailer here. This type of simulation would work well as an on-line video or advertisement, not just in feature films. Picture your message or company logo being spelt out in the sky by 5,000 birds! Below I will give you a behind the scenes look at what went into this shot and hopefully along the way you might think of how this technology can work for your business. 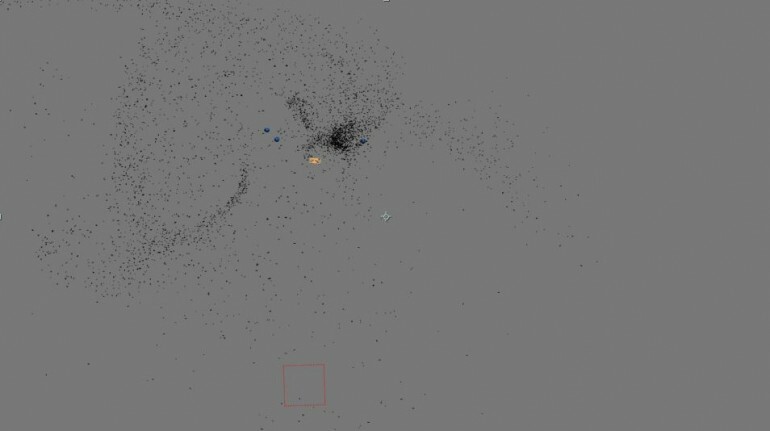 For creating a flock of 5,000 3D birds we needed to first look at the individual bird and create a very low detailed, 3D model which we could use in the particle simulation. As you can see in the image below, this model is made up of only a handful of polygons, the basic building blocks of 3D. You can also see the stretched diamond shapes which make up the skeletal system, these are linked to the actual model (mesh) and when moved or rotated these drive the mesh to deform and in turn animate. 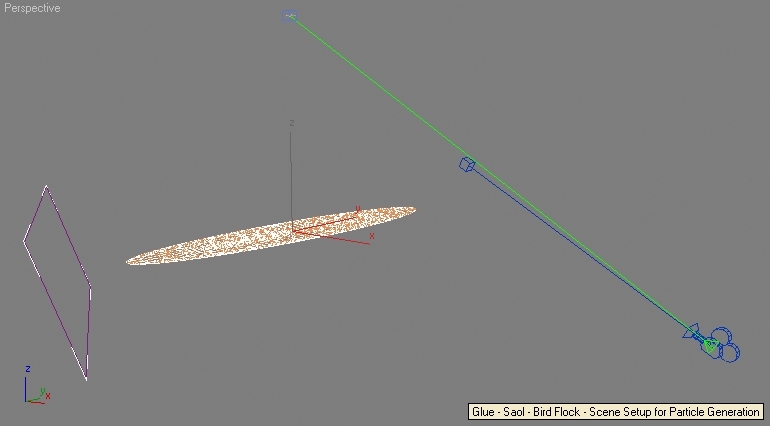 Once the initial 3D bird model is created, we can move onto our custom built Particle Flow Event. 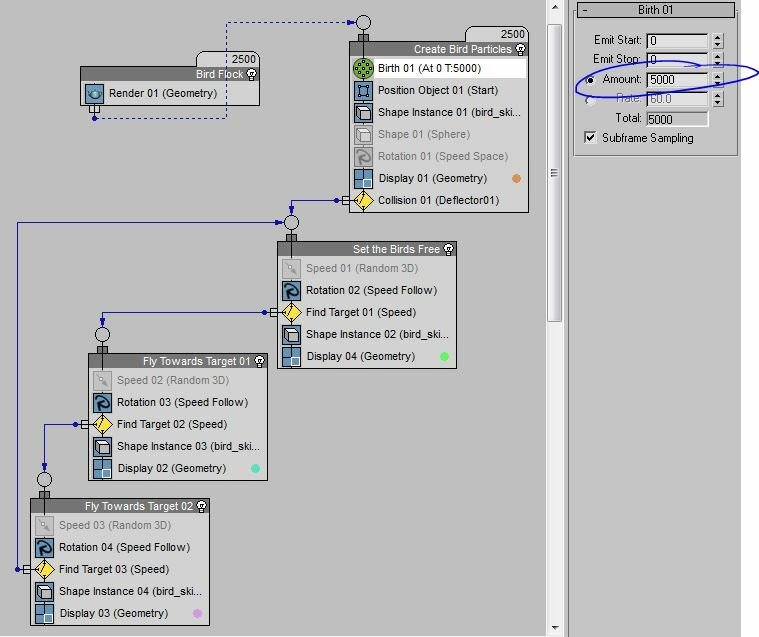 This is a node based system, one familiar to many digital artists out there. 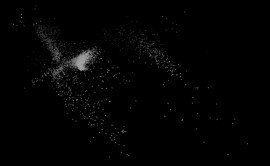 Broken down, each node passes on information to the next – in this case “Bird Flock” will display the birds in the final video. “Create Bird Particles” creates the bird particles and sets their amount, in this case 5,000. 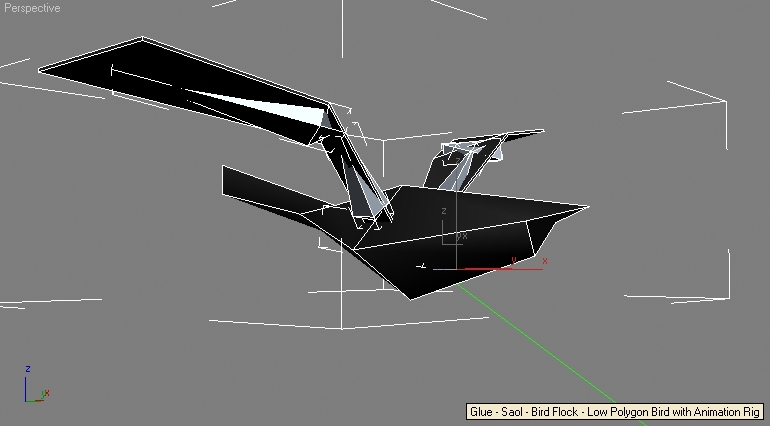 Inside this node we tell the particles to take the shape instance of the 3D bird model we initially created. 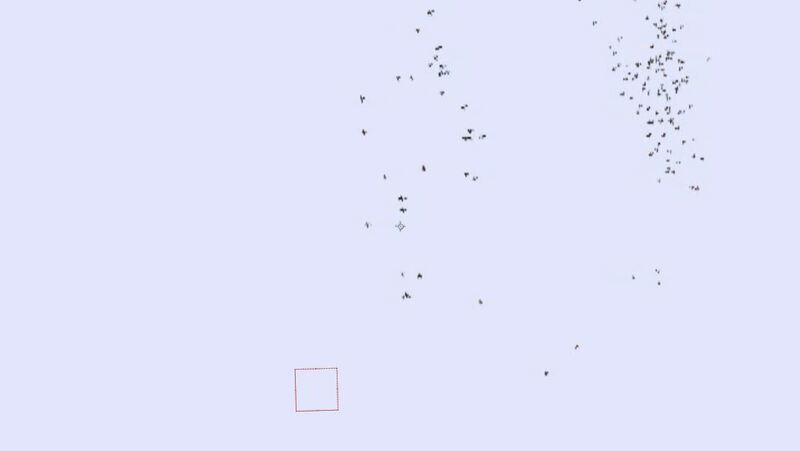 From there, a collision occurs; interaction between this collider (The square in the image below) and the bird particles (The tiny white dots on the oval shape) happens and they then move onto the next node (the “Set the Birds Free” menu). From there, the 3D birds will begin flying up into the sky.  Instead of them flying off screen we tell them to “Fly Towards Target 01” which is a separate object with a noise simulation added to give it a smooth and random animation around the scene. When the 3d birds interact with this object, they then move onto the next target and so on, hence giving them a random natural movement as in the image below. 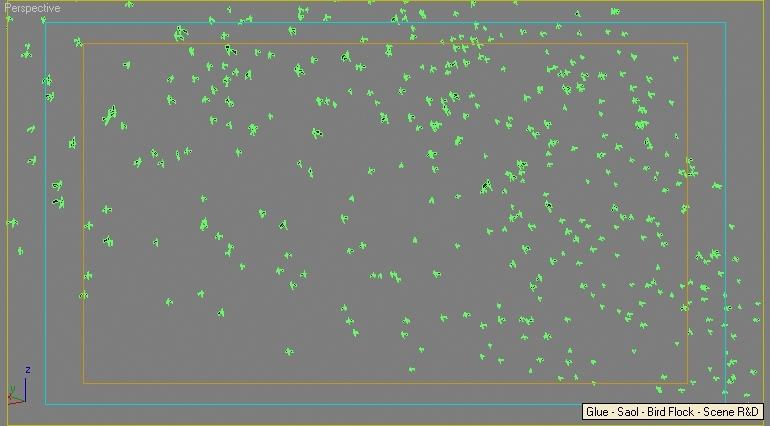 In the simulation we also gave the birds random speeds to aid the natural flocking look. 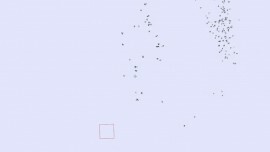 Below you can see the vector, Z-depth and diffuse images which the 3D computer software gives us in the end, we then take each of these elements and stitch them together in the compositing software. So the next time you’re working on a project and think something is unachievable just think GLUE. We pride ourselves in Bringing Reality & Imagination Together, how can we help your video?